This post is in partnership with Alva. 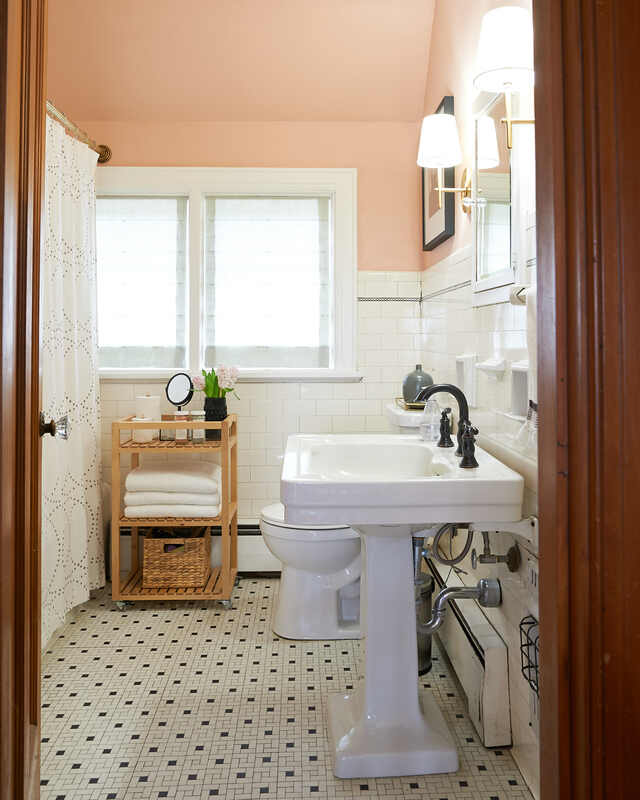 Our blush bathroom was one of the first rooms in our home to get a makeover. The previous owner had 3 different window treatments on these windows and we swapped them out for just 1: a light diffusing roller shade. After a while, I noticed that our roller shades just weren’t providing enough privacy for all the things one does in a bathroom. The bathroom sits at the front of our house and looks across the road at our neighbors. Although I don’t think our neighbors spend a lot of their time trying to look into our bathroom, I’d like to just save everyone from every kind of embarrassment. 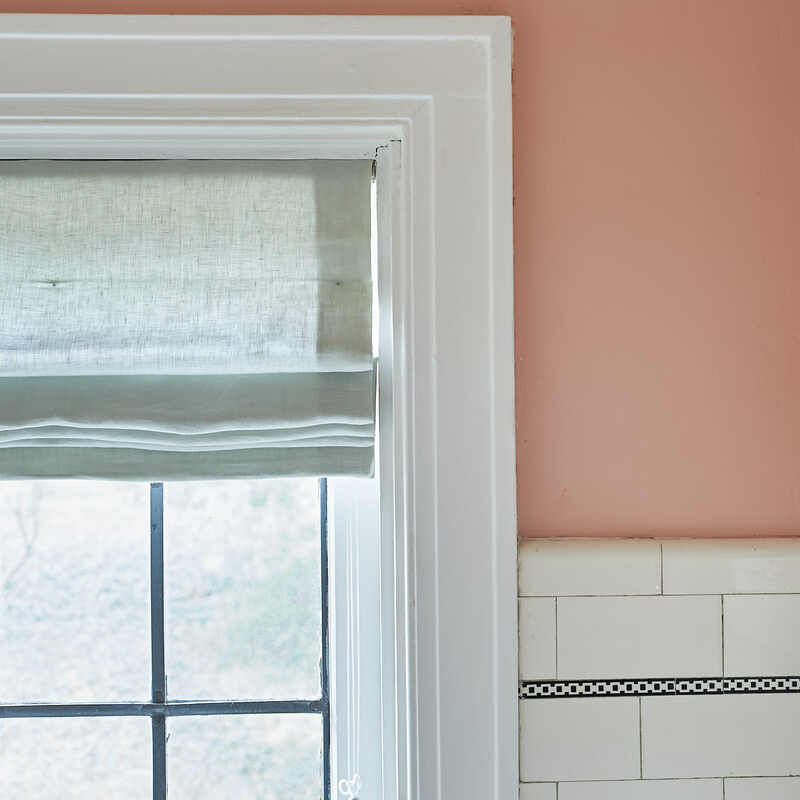 Once I realized the true need for privacy, I started dreaming of adding a custom flat roman shade. 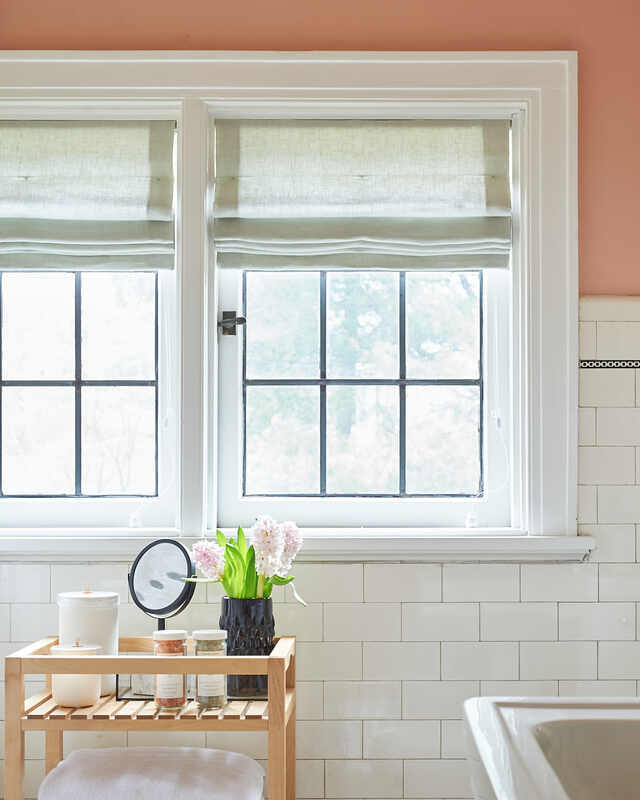 The original windows in our home are one of my very favorite features and they deserve something special. 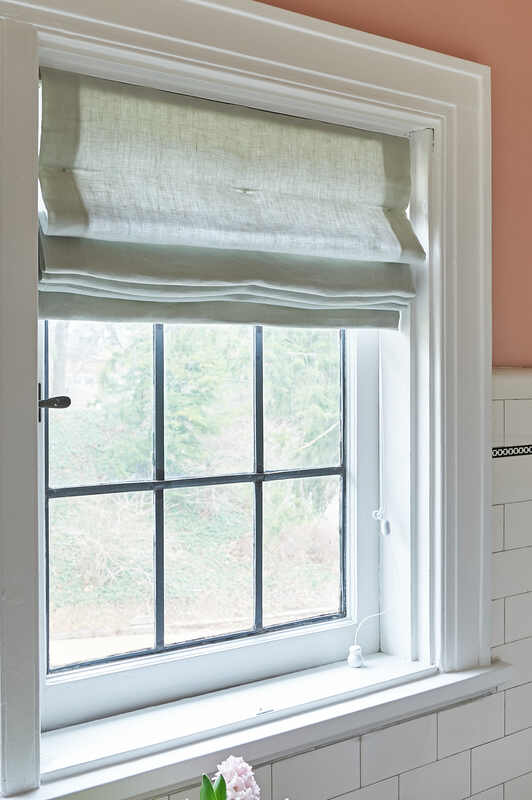 I’ve always loved the look of roman shades in bathrooms so I was so excited to partner with Alva for my first ever window treatments made just for me. 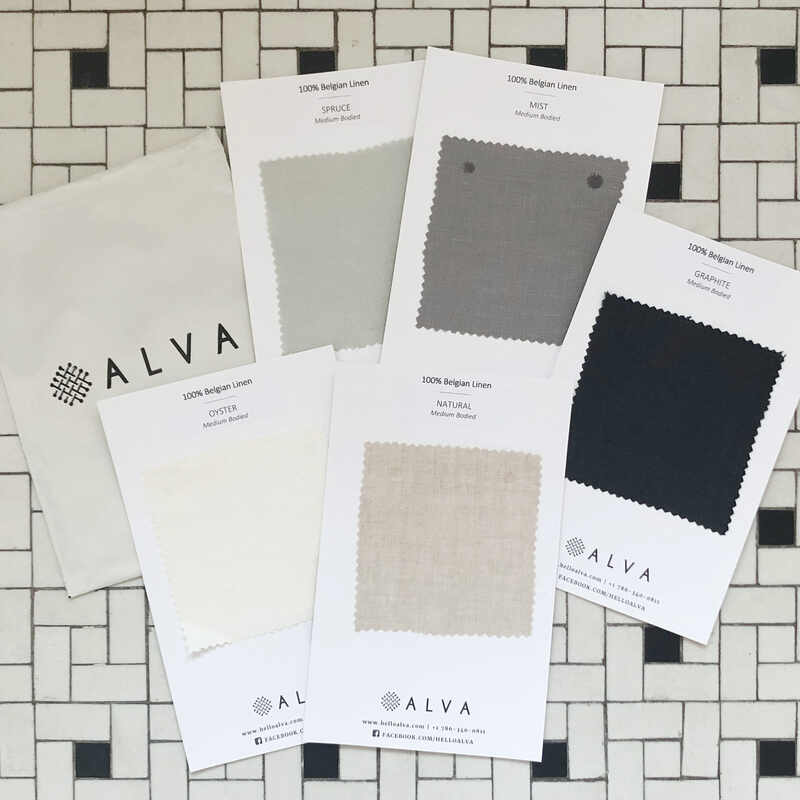 To get started, I ordered free swatches (order your swatches here) from Alva to compare 5 different colors of their Belgian flax linen. I ordered graphite, spruce, natural, oyster, and mist. 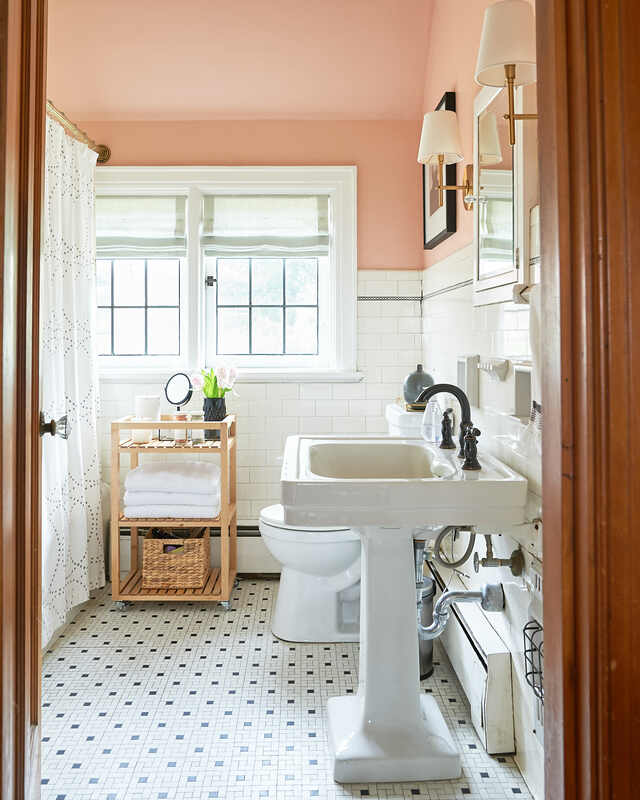 I was drawn to the graphite (a deep charcoal color) thinking it would complement the bathroom’s pencil tile and black accents. I also picked two neutrals, natural and oyster, because you can’t go wrong with a neutral. 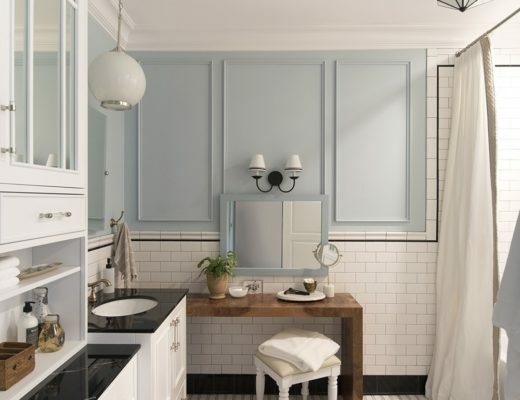 Oyster is a warmer, creamier shade of white vs. Alva’s optic white, which is a truer, bright white. For fun, I added spruce to my sample order, I liked that it had just a hint of color while remaining on the neutral side. And for a very safe, can’t-go-wrong-with-gray, option, I picked mist. The samples arrived in a matter of days and I paced around the bathroom wondering which to pick. When in doubt, take it to Instagram — I put it to a poll in my stories and it was a dead heat. 50/50 between natural and oyster, 50/50 between mist and spruce. BUT I got the most excited, passionately decisive DMs about the spruce (I see you, Yellow Brick Home). It was a favorite of mine from the start because while it’s pretty neutral, it’s got the right amount of special to it. And I cannot resist pairing green with blush. 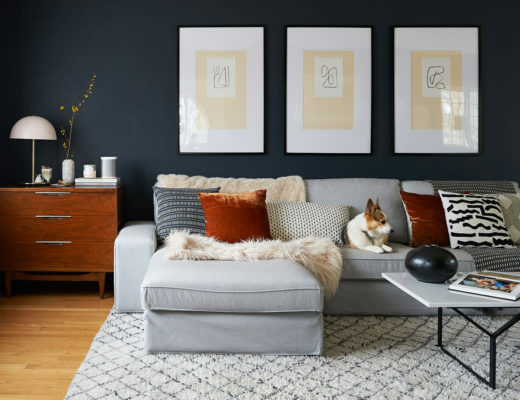 AND I can’t stop using green throughout my home, and I hear that cohesive design is a thing, so my gut told me spruce was the way to go. I decided on an inside mount for my shades and measured using Alva’s measuring tips as a guide. 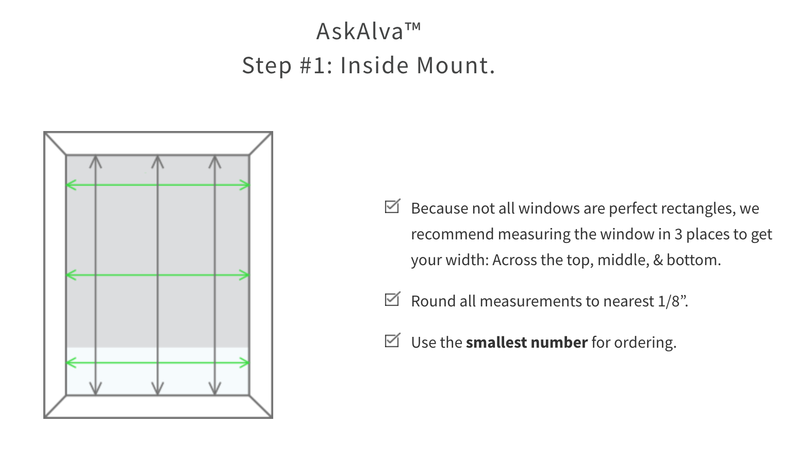 Chances are your windows are not perfectly square (especially if you have an older home like mine), so it’s really important to take 3 measurements of the height and width of your window and to go with the smallest of the 3 when you order. 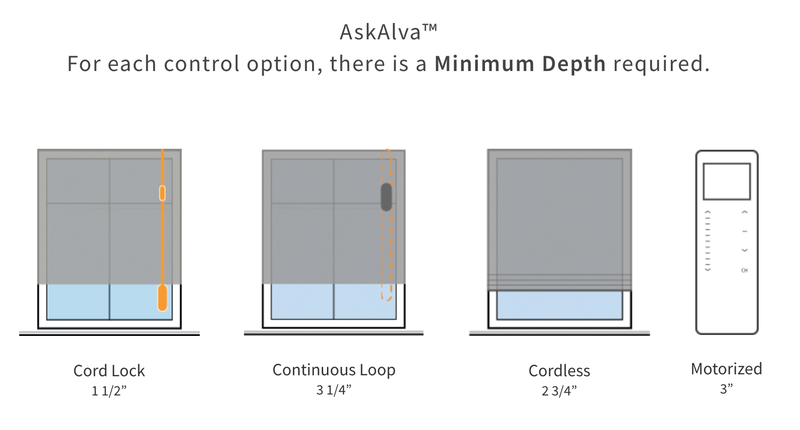 Alva offers cordless, cord lock, continuous loop, cordless, and motorized cord options but there are some limitations based on the depth of your window – our windows are 3″ deep. 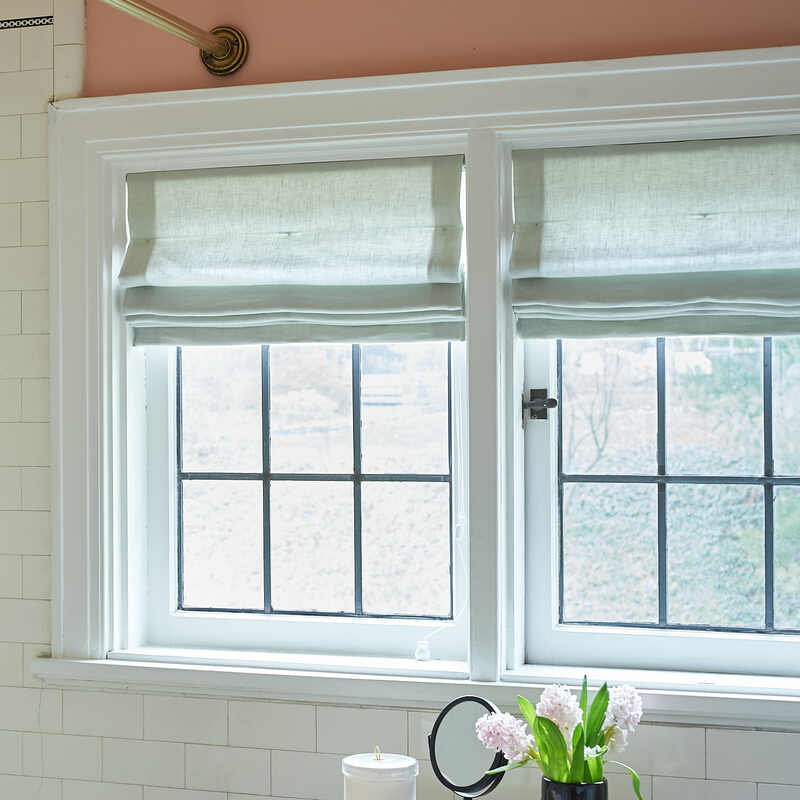 I went with a cord lock (minimum 1 1/2″ window depth) because continuous cord requires a deeper window depth (minimum 3 1/4″ window depth) and I also wanted a white cord that would blend visually into my window frame. 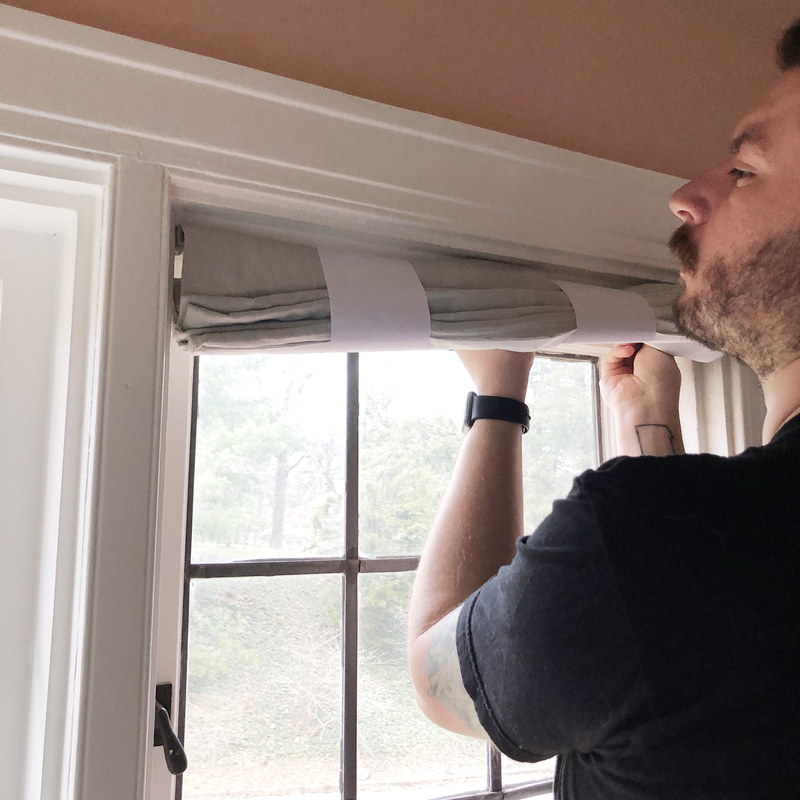 I also decided against the motorized option (minimum 3″ window depth) because the shade would be installed in a high-moisture space. 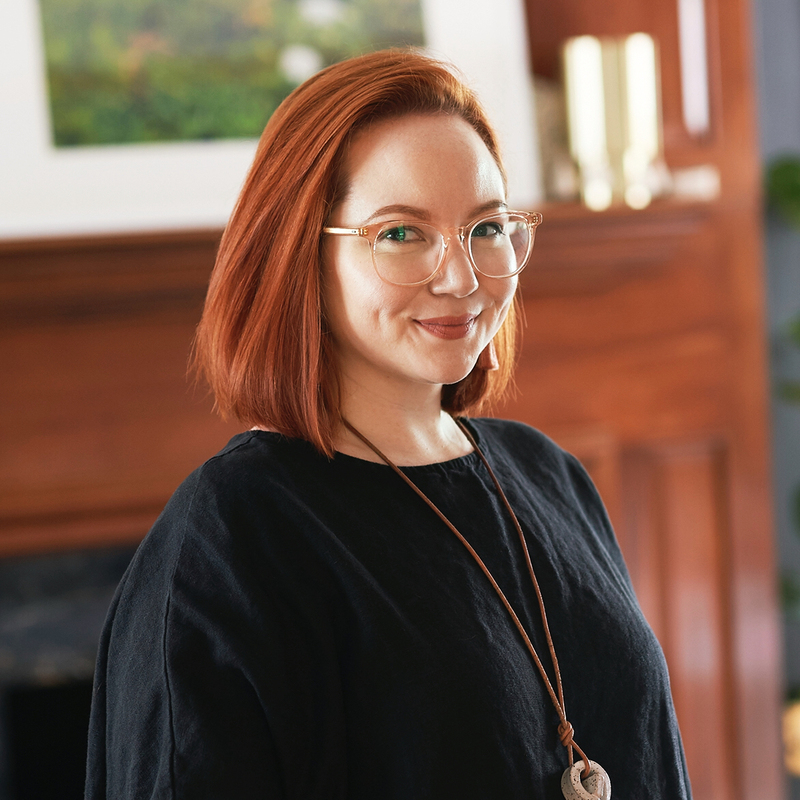 Alva’s shades are lined by default, which helps add privacy and gives the linen more structure, but you can also order your shades without lining. I wanted the extra privacy and wanted to keep a consistent look of white treatments on the outside of our house. I ordered my shades and they arrived 13 days later. As soon as they shipped I received a tracking number and a couple of days before they arrived, I got an email with assembly instructions. I really appreciated the heads up, if I had needed to pick up a new drill bit size I would have had time to prepare. The email also let me know that linen is a wrinkly business and that steaming is recommended. You know I love to steam textiles. The blinds were safely packaged together in a single box and included easy to follow instructions. 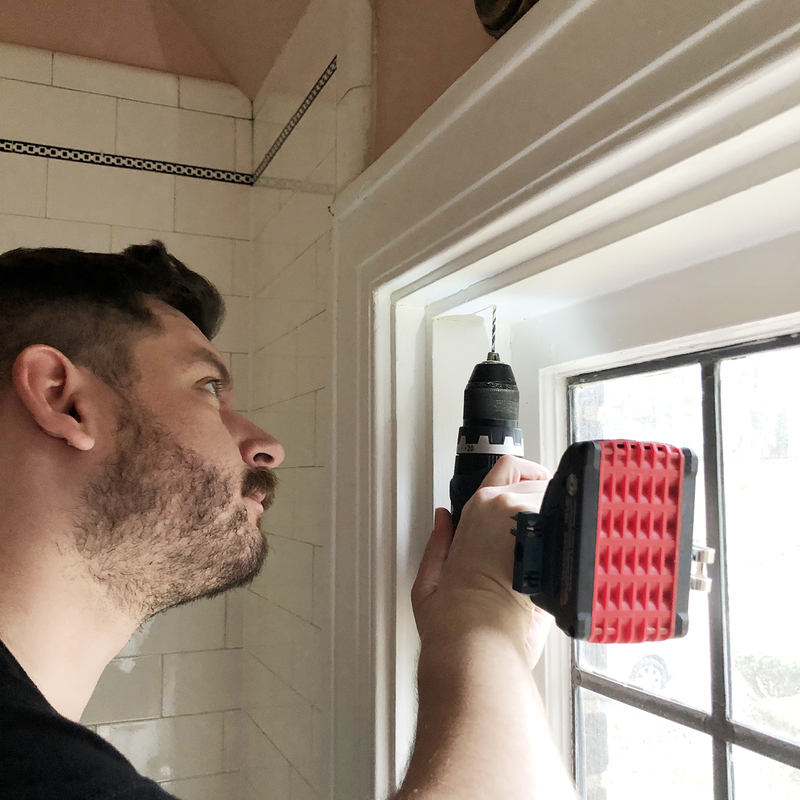 The first step is put the included screws into the mounting holes, lift and center the shade in your window with the front edge at the front edge of the window frame, and use the screws to mark where to drill the pilot holes. Use an 1/8″ bit to make the pilot holes, then line the shade up with the holes and secure it in place with the screws – this step is much easier with two people. Although I ordered two shades with the exact same window measurement, my shades arrived with slightly different widths. The larger shade was a tight squeeze but fit into our window, the smaller shade was no problem. Mistakes happen and what matters is how they’re handled. I wrote to Alva to let them know about the discrepancy and they let me know about the Alva Happiness Guarantee: in the event of manufacturing errors, they will send a prepaid FedEx envelope for you to return your shade and they will remake it for you at no charge. Because ours ended up working out, I kept them and everything is working properly. In the event that you make an error measuring your windows or just don’t like what you ordered, they will work with you to make it right. I love that because our shades are the exact length for the window, we aren’t left with feet and feet of extra cord, dangling around looking messy and being dangerous for children. 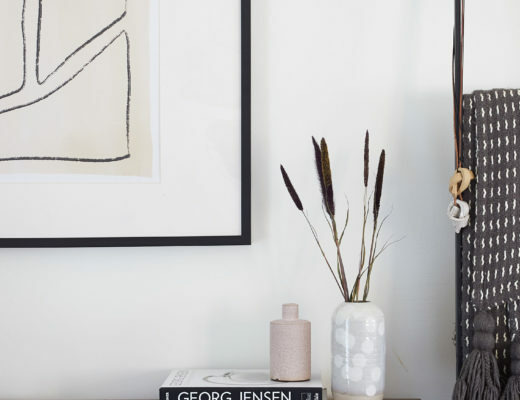 The cord pull is made of wood and painted white. Good to know: Because I went with a cord lock, the shades came with a TON of warnings for baby safety. Cords are very dangerous for babies. Alva sent a plastic cord cleat that would keep the cord wrangled, but I chose not to use it. I am so happy with how the spruce linen looks, the color is unexpected but beautiful and the texture is perfect. 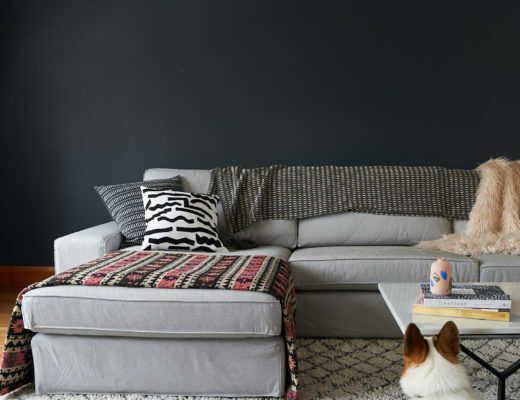 The flat roman shades really elevate the look of the space – I love that the mounting hardware is hidden. This is what the shades look like installed and open. The cord lock moves smoothly and locks easily by moving the cord to the right, making it easy to pick exactly how much shade I want to keep down or up. I like to keep them open at a height that lines up with the bottom of the first row of our leaded glass panes. And here is the bathroom with the shades down, granting me all the privacy in the world. 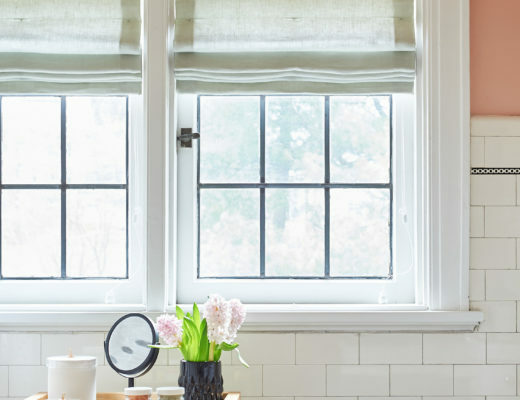 Are you ready for a custom window treatment of your own? 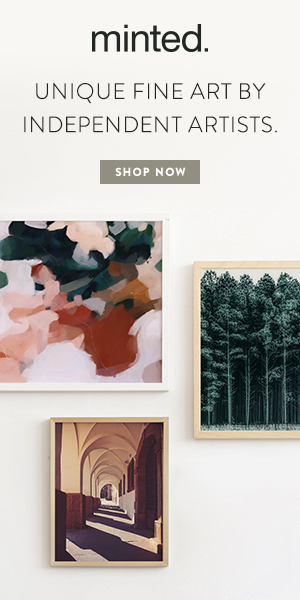 Alva is giving away a $300 gift credit to one lucky winner. Sign up for Alva’s newsletter below for a chance to win. Sweepstakes is open to US residents only and the last day to enter is Wednesday, April 10th. One winner will be randomly chosen and notified via email on April 11th. I’m sure this is an odd takeaway, but I love seeing into your shower itself to see how the pencil tile continues. I’ve always wondered!